All pages that have been defined as a portlet are listed here. Opens a dialog where a page can be selected. 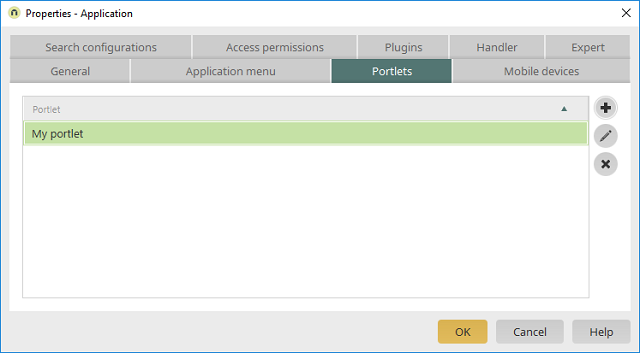 Opens a dialog where the portlet settings of the currently selected page can be edited. Removes the selected portlet from the list.